Cat Burglar: A Tail of Purrsuit is a short, light-hearted, stealth, puzzle platformer with a pet charity awareness campaign by Gamers for Good. Your objective is to help Kat find her way into the Dogo Corps base to discover Major Bulls’ master plan. By playing as Kat and clearing each level you will unlock Pet charities and get an opportunity to learn more about these great organizations and how you can help. 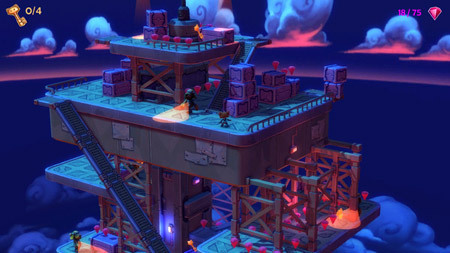 Kat must sneak her way through 5 different levels to best the dogs and escape with the loots. If you get stuck in the game, check out the video walkthrough and gameplay for the game. This entry was posted in PC Games, Walkthrough and tagged Cat Burglar: A Tail of Purrsuit Cheats, Cat Burglar: A Tail of Purrsuit Game, Cat Burglar: A Tail of Purrsuit Gameplay, Cat Burglar: A Tail of Purrsuit Guide, Cat Burglar: A Tail of Purrsuit Hints, Cat Burglar: A Tail of Purrsuit Review, Cat Burglar: A Tail of Purrsuit Solutions, Cat Burglar: A Tail of Purrsuit Strategy, Cat Burglar: A Tail of Purrsuit Tips, Cat Burglar: A Tail of Purrsuit Walkthrough by Marvin. Bookmark the permalink.